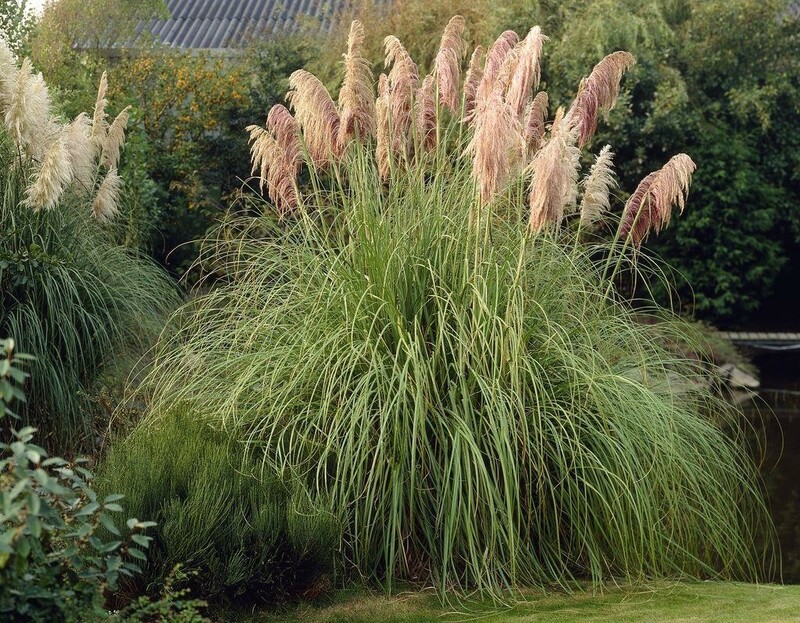 Tall, pink-flushed, feathery plumes in late summer above large mounds of sharp-edged, mid-green leaves. 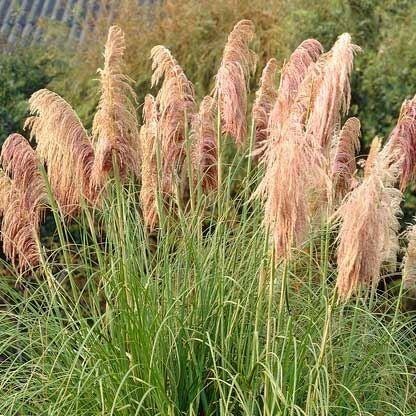 This unusual pink form of pampas grass looks wonderful planted by water or set in the middle of a sunny, well-drained lawn. One of the largest varieties currently available, it's perfect for a medium or large garden. Supplied in an approx 2-4 Litre container.